With so much misinformation about personal branding swirling around out there, it’s easy to see why people are confused. Define, differentiate and communicate the unique ROI (return on investment) you offer your target audience over your competitors. Target audiences differ – just as what they’re looking for in people like you differs. For job search and career management, your brand and the way you communicate it need to resonate with your target employers and/or current employer. In business, build your brand communications around what will hit home with your customers or clients. Your brand helps people decide whether to hire you, keep you as an employee, or do business with you. Generating chemistry by giving a feel for your personality is an important part of the defining and differentiating process for authentic personal branding. Think of personal branding as educating people about what kind of person you are, the best you have to offer, and how you can help them. The concept of personal branding is simple, but doing the work to define your brand is hard, and requires deep reflection. 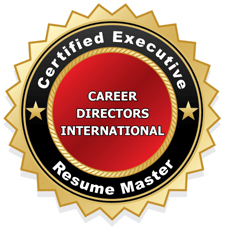 Get clear on what you want to do next and which employers will fulfill your career needs. 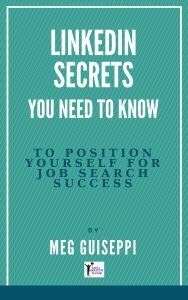 Research each employer to identify which current needs of theirs you’re uniquely qualified to help them with. When you know your target audience and their pain points, you can position yourself in your job search marketing materials (LinkedIn profile, resume, biography, etc.) as a good-fit candidate. And targeting with purposeful networking help you penetrate the goldmine of “hidden” jobs. Think about the activities, interests, or conversational topics that fascinate or excite you and make you feel energized. Your passions make you get out of bed at 6 a.m. on a Saturday morning or get you talking enthusiastically with others. How do your passions converge with what you are best at doing at work? Don’t be fake. Don’t make claims about yourself that you can’t back up. Be genuine. Define who you are now and what you offer now – not who you want to be or the kind of person you want to be thought of. Give a feel for the kind of person you are and how you used your top personal attributes to make things happen for your employers. You’re unique. Make your brand messaging reflect that. Translate the passions you have into content with personality. Don’t be afraid to pack a punch. 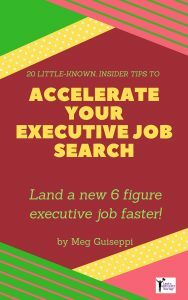 Generate excitement about you as a candidate. Get “personal” with your brand. Of course, you need to be ever-mindful of relevant keywords and phrases to boost Search Engine Optimization (SEO) for your online profiles and communications. Personal branding with strong Personal SEO is a balancing act − work on getting strong keyword density while generating chemistry for the kind of person you are. 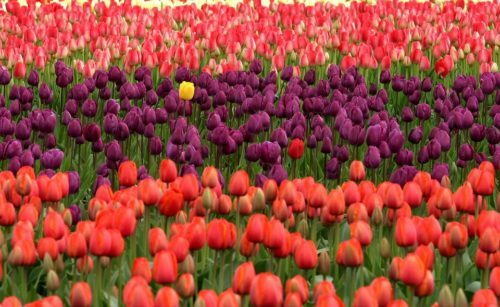 Dig deep into the personal attributes and qualities that drive you and make you unique. How have you used these traits to benefit your employers? Showcase your motivated strengths and areas of expertise – the ones you excel at, love doing and contribute the most by doing. Having a hard time identifying them? Try developing Challenge – Action(s) – Result(s) or CARs stories. Find out how you’re perceived by the external world – the true measure of your personal brand. Get feedback from those who know you and your work best – peers, management, staff, employees, clients, mentors, etc. They will affirm or make you question your own assessment of your value to your target employers. What qualifications, skills and areas of expertise set you apart from others competing for the same kinds of jobs? What combination of things do you have to offer that no one else does? Quantify – or better yet, monetize – your ROI. What makes you worth the high cost of hiring? What makes you the best hiring choice? Work on tight writing on the (paper, digital and web) page and to-the-point verbal communications of who you are and the value you offer. Don’t bore people with superfluous and irrelevant content. Stick to the point, but don’t neglect storytelling in your personal brand communications. Stories help people connect better to you and your potential value. 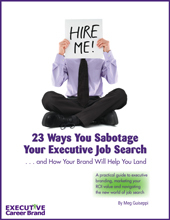 Keep yourself visible and top of mind with your target audience/target employers. 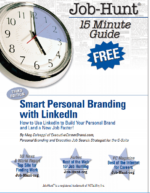 Position yourself on LinkedIn, Twitter and other social media, and relevant blogs. Develop a realistic online brand communications plan and stick to it. Be online or be invisible. Relevance – Stay on-brand and relevant while being visible to your target employers. Quality – Make sure no digital dirt tarnishes your brand. Diversity – Build a good mix of static online profiles/web pages and vibrant real-time content. Volume – Work on continuously building more and more search results for your name, and increase your number of diverse and accurate results on the first few pages. Consistency – Express the same personal brand message, designed to resonate with your target audience, across all communications channels you decide to use.